Another important aspect is absence of thermal bridges. What are thermal bridges? 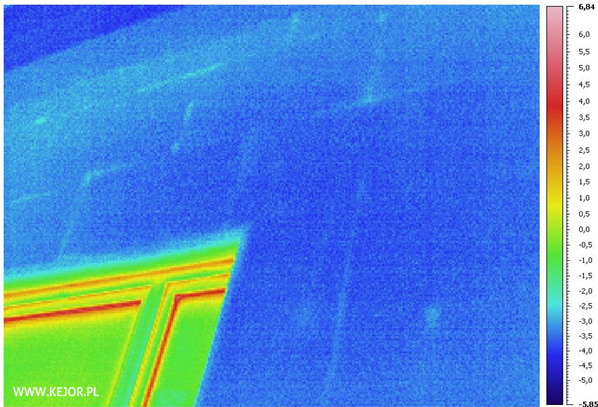 They are simply fragments of the building envelope where thermal performance is much reduced in comparison to the neighbouring construction parts. The weakened thermal insulation can be linear (i.e. the gaps at the joints of insulation boards) or pointed (penetrations of the insulation layer). The thermal bridges not only cause the heat to escape. The structure can get colder and the vapour can condensate in it, making the structure or insulation wet and even leading to the growth of fungi or mould. 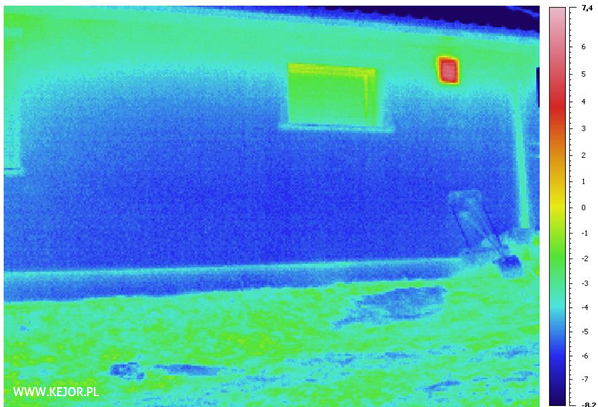 The best method to verify the insulation quality is thermal imaging. 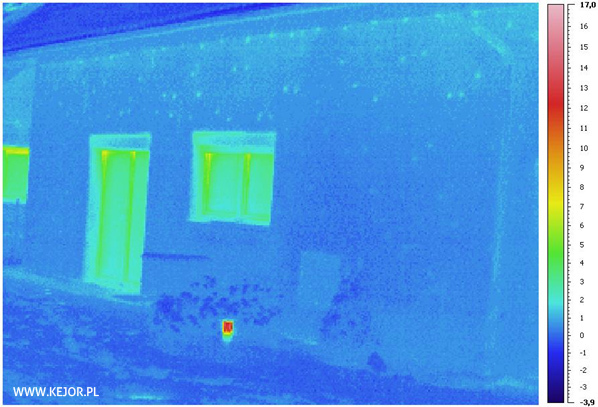 This thermal image does not show any discontinuity or perforations in the insulation layer. The houses built with the Izodom technology look just like this. Continuous insulation layer of sufficient thickness, connected by clips, no need to use anchors, special lintel elements, floor slab supports and adequate insulation of the roof - all this prevents formation of thermal bridges - without additional expenses for material and labour. An image of masonry building insulated with styrofoam boards. Bright lines indicate gaps between the boards. Yellow colour of the bottom lintel surface indicates heat losses around the window frame. Bright blue points are thermal bridges caused by perforation of the insulation by the anchors used to fix it. A large number of thermal bridges can eliminate the effect of using a thick insulation layer. 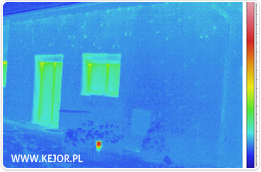 Thermal images are courtesy of www.kejor.pl.